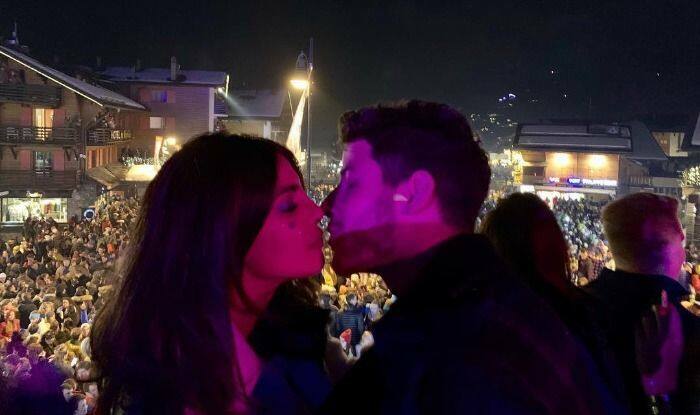 Acing the New Year celebration game in Verbier, Switzerland, Hollywood pop star Nick Jonas shared an intimate video that shows him bringing in the new year at midnight with Bollywood actress-wife Priyanka Chopra. 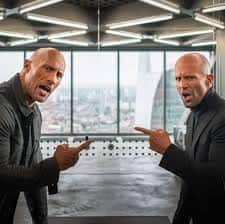 The two are seen sharing a sweet kiss as they wish their fans across the globe with a New Year post. In the video, an excited crowd is seen dancing on the streets near a flagpost with fireworks lighting the sky ahead and the streetlights and red-coloured DJ lights adding hue to the smoke. Nick then turns the camera into a selfie video where we see India’s desi girl, dressed in a white fur coat teamed with a white bling top inside, kissing her husband who was donning an all-black look. Sharing the video on his Instagram handle, Nick captioned it, “Happy new year everyone from Verbier!” (sic).